Please note we have had to move this forward one day as there are no trains on the Sunday. You’ll need to catch the train at 09:52 from WGC or 09:56 from Hatfield arriving at London Kings Cross at 10:22. We will start cycling at 10:30. 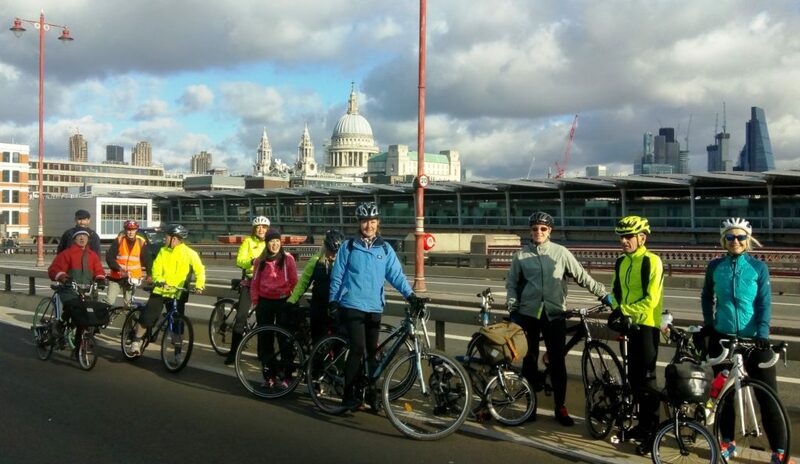 We will then do a 20 mile ride around central London taking in some contraflows along one way streets, 1980s cycle routes in Bloomsbury, a short bit of Quietway 1 and then the section of the North – South superhighway over Blackfriars Bridge. At some point we’ll stop at a cafe for lunch. We are riding in London on sometimes busy streets, but mostly off road, so not for our smallest riders (we’ll do the steam trains in August for them).